Speaker stand bag with two compartments large enough for 50" speaker stands. 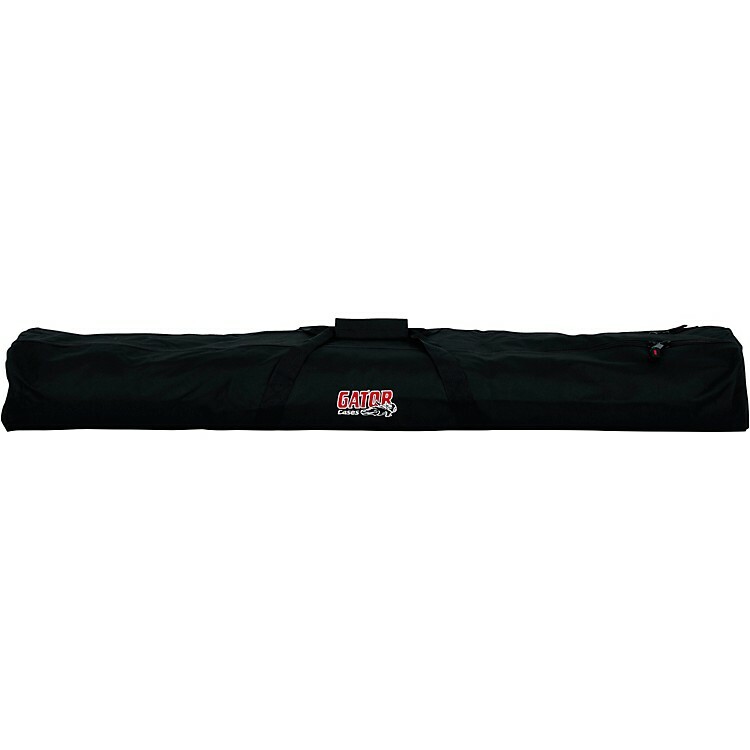 The GPA-SPKSTDBG-50DLX is a deluxe speaker stand bag with two independently zippered and divided compartments each roomy enough to carry a speaker stand that is less that 50" in length. It is made with a heavy-duty nylon exterior and webbed nylon handles. Order this speaker stand bag now! Interior dimensions (LxWxH): 50" x 6" x 6"
Exterior dimensions (LxWxH): 51" x 11" x 7"